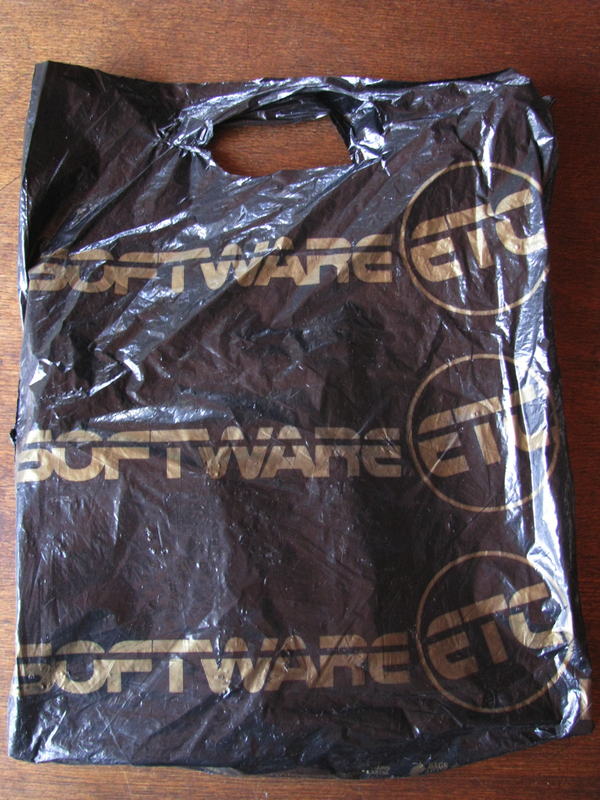 Digging in my vintage-computer mess, I found this pack from Xmas 1994 – labelled Software ETC. 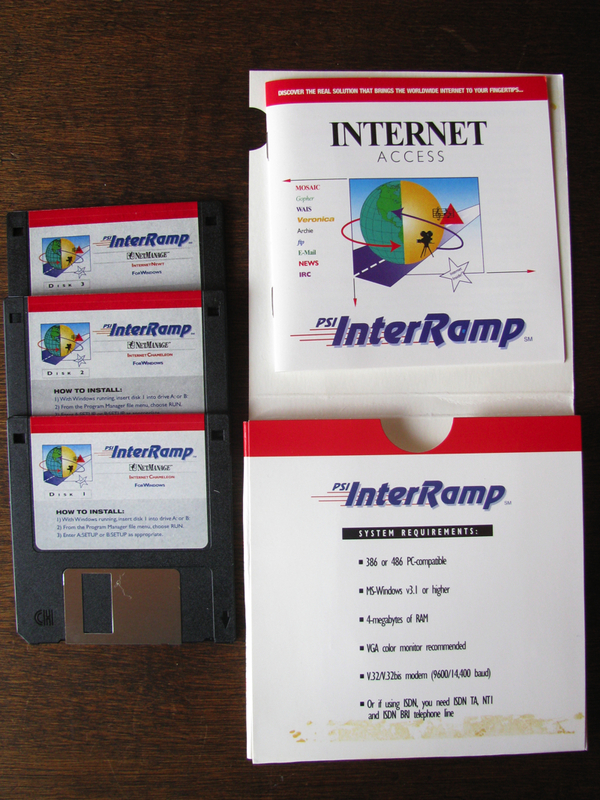 I barely reminded that a long-time friend, Claudio, brought me this stuff from a trip in the USA – where early Internet was booming, back then. 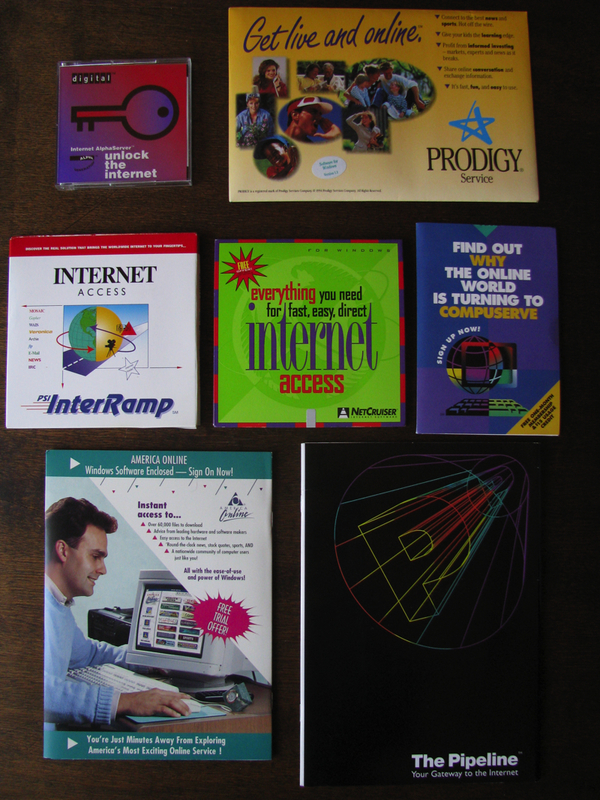 These are the greeting packs, introductory kits and installation floppies for some of the very earliest Internet Service Provider in the USA. By today standards, it seems so funny to read their “services” descriptions and the amazing features they were leveraging. It’s been some 20 years since this internet access software was released, mostly for Windows 3.1 !, and now Internet is something we all take for granted (or not? ), be it mobile or on a desktop computer. – Prodigy said its services were able to “give your kids the learning edge”. 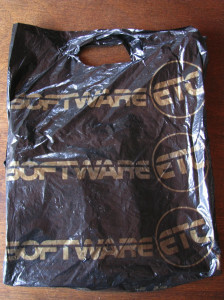 This entry was posted in Business, Business Model, Digital life, Internet, Media, Online advertisement, Retrocomputer, Server, Social Media, Software, Tech bubble, Tech industry, USA, Web, Web Marketing, Windows and tagged 1994, America Online, early Internet, early ISPs, Gopher, Internet, internet service provider, ISP, ISP 1994, Mosaic, NetCruiser, Prodigy ISP, vintage advertisiment. Bookmark the permalink.